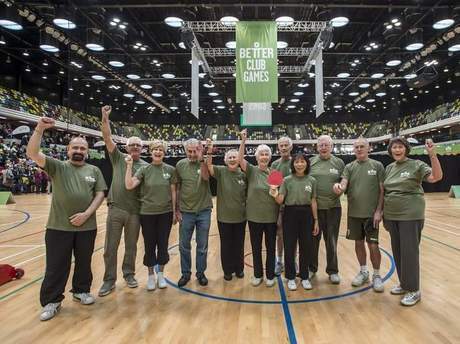 This Wednesday 10th October 2018 will see the return of Better’s Annual Senior Club Games here at the Copper Box Arena. Now in it’s 13th year, over 700 competitors will come from all over the capital and beyond to battle it out for the Club Games winners trophy. The aim is to encourage and promote a healthy and active lifestyle to people of all ages. The Club Games invites competitors aged 55 and over to compete in a wide range of fun sport and leisure activities. And if it’s not competition you’re after, don’t worry. The games are also a great opportunity to meet new friends and support your team. There are a variety of activities to watch, stalls to browse throughout the day, including prizes to be won through our Club Games raffle with proceeds going to the Cancer Research UK, who will also be there on the day. For more information or to join a team, check out the website here.